Every time we see the SFSYO in concert, we are so amazed by their level of musicianship. If you closed your eyes, you would never know that you weren't listening to professionals. 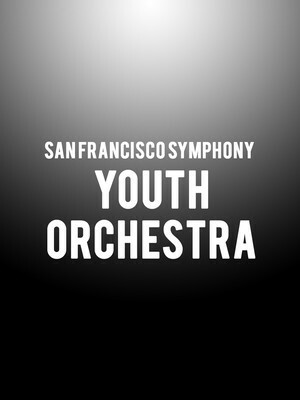 Why See San Francisco Symphony - Youth Orchestra? The Greater Bay Area's most talented young musicians are given a chance to hone their budding skills as part of the San Francisco Symphony Youth Orchestra, one of the finest youth ensembles in the country, if not the world. Celebrating their 35th anniversary during it's parent orchestra's 2017/18 season, the dynamic classical stars of tomorrow cap off a year of international touring and playing in leading concert venues with a series of special performances on home ground. March 3rd, 2019 - Conducted by their Music Director Christian Reif, 100 performers of the youth orchestra come together to perform Debussy's Iberia, the most popular of the composer's three orchestral 'Images Pour Orchestre' thanks to its aural evocation of Spain and shimmering percussive colors. This is followed by Bizet's arresting L'Arlesienne Suite No. 2, a folk-infused incidental suite for Alphonse Daudet's play of the same name. May 19th, 2019 - Once again helmed by Christian Reif, the orchestra performs Mahler's thrilling Symphony No. 1, a magnificent symphonic tone poem celebrated for its lush romantic themes, final glorious climax and triumphant celebration of the human spirit overcoming adversity. Sound good to you? 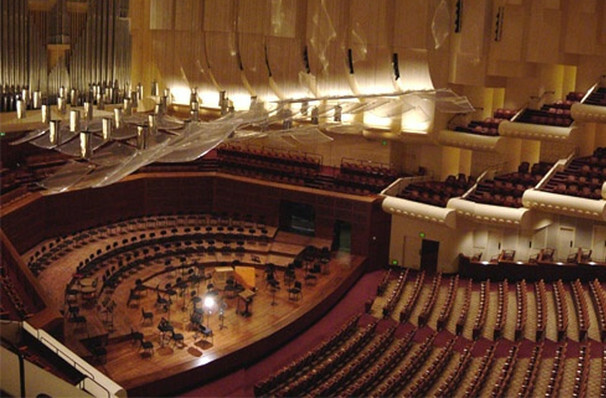 Share this page on social media and let your friends know about San Francisco Symphony - Youth Orchestra at Davies Symphony Hall. Please note: The term Davies Symphony Hall and/or San Francisco Symphony - Youth Orchestra as well as all associated graphics, logos, and/or other trademarks, tradenames or copyrights are the property of the Davies Symphony Hall and/or San Francisco Symphony - Youth Orchestra and are used herein for factual descriptive purposes only. We are in no way associated with or authorized by the Davies Symphony Hall and/or San Francisco Symphony - Youth Orchestra and neither that entity nor any of its affiliates have licensed or endorsed us to sell tickets, goods and or services in conjunction with their events.